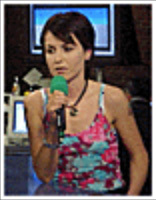 Shortly after the Giga interview, a Dolores autograph was posted on the Giga page. However, it was only posted for a short period of time and then taken down. Thanks to Jessica van Kessel for saving it and forwarding it. We reported that days ago, Dolores made a promotional appearence on the Giga network. We now have a hoarde of exclusive screens of this that you’ll only find here! Dolores basically reaffirmed all of the previous news, about doing many festivals for the first half of this year. Borders, a US-based music and book store, has an in-store display for Sessions at West 54th. 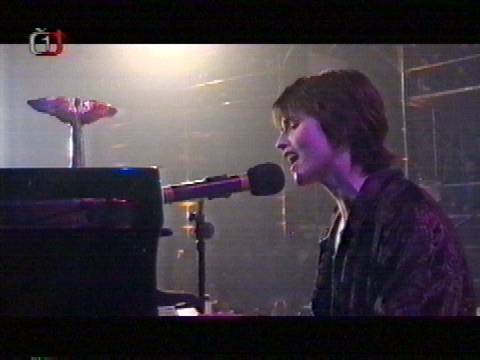 The sign gives all of the information about the show, expecially that it is a show for public networks, with little profit involed. Below the sign are the albums of past, present, and upcoming artists, and of course, “Bury the Hatchet” is on the rack — even though the show doesn’t air for another two months. 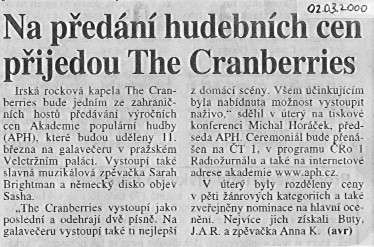 Corresponding with the show, three Cran articles ran in papers in the Czech Rebpublic (where the show was broadcasted). The articles are in Czech (the third has a pic from the show), but it’s nice to see that the band is getting press. “You and Me” was released this week, and it looks to be limited. I’m not sure of the tracks at the moment. However, Cranfans in Europe had to do a bit of scavenging to find it in stores. I don’t know of the exact track list yet, but I should have that and cover art for you soon. The “You and Me” video has been released! 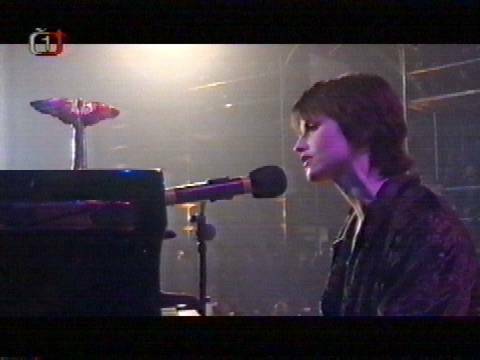 Those that have seen it tell us that it includes more than the Paris footage from last December — it includes some studio footage, too. Cropped into the video is different footage of people running down the street to kiss their lovers. If we get any stills of the video, they’ll surely be posted here. Thank you for your mail. As far as I know it should be released in the US but stay tuned to the website for more details as [to where] and when it is released. Exclusive pics! These are pro shots taken from the Madrid gig last December. Check them out. Wow. Wow wow wow wow wow. If this does not get released in the US, I WILL NOT BE HAPPY!!! *ahem*. Excuse me. Dolores arrived in Germany on Sunday to begin a new round of interviews and appearences in Berlin and Düsseldorf. 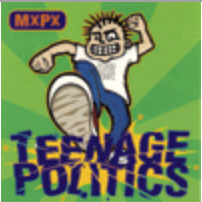 Schedules appearences include interviews with radio stations, MTV Germany, and NBC Giga. 5th Album and Tour Info! -Album #5 will be produced by Stephen Street! -You and Me will be released next week! 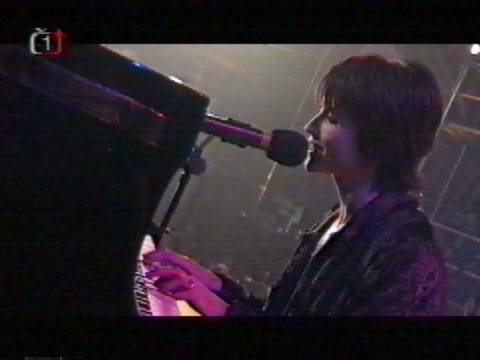 -The new live video is now slated for a release on June 28th. More Info on “You and Me” Limited Ed. There is still no word on what tracks the regular version will have. However, the site says the that CD will be released in late March (as opposed to “early” as stated before). 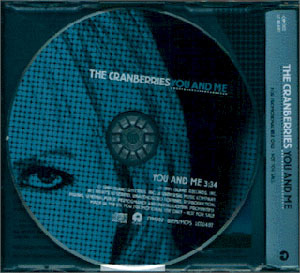 Thanks to The pretty Cranberries, we have scans of the Italian “You and Me” promo, which is quite different from the other promos. This one has just been released recently, in contrast to the Spanish promo, which was released in mid-January. 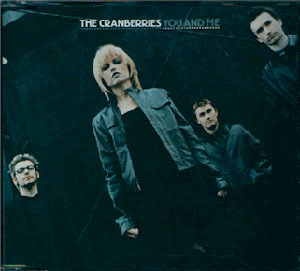 According to The pretty Cranberries, Dolores is currently looking around for a role to fill in a movie. She hopes to take a part in a movie by the end of this year. MTV Germany is having a special contest for the upcoming release of “You and Me”. Visit their page, and enter their contest to win an MTV Limited Edition Enhanced “You and Me” single, which will include two video tracks. Other prizes include Cran T-shirts and 10 copies of BTH to be given away. “You and Me” will be released in early March. This info is from a rough translation, so hopefully, we’ll have more info later.